If I had to sum up my experience of working as an REU student, this summer, at the University of Puerto Rico in one word I would say defining. 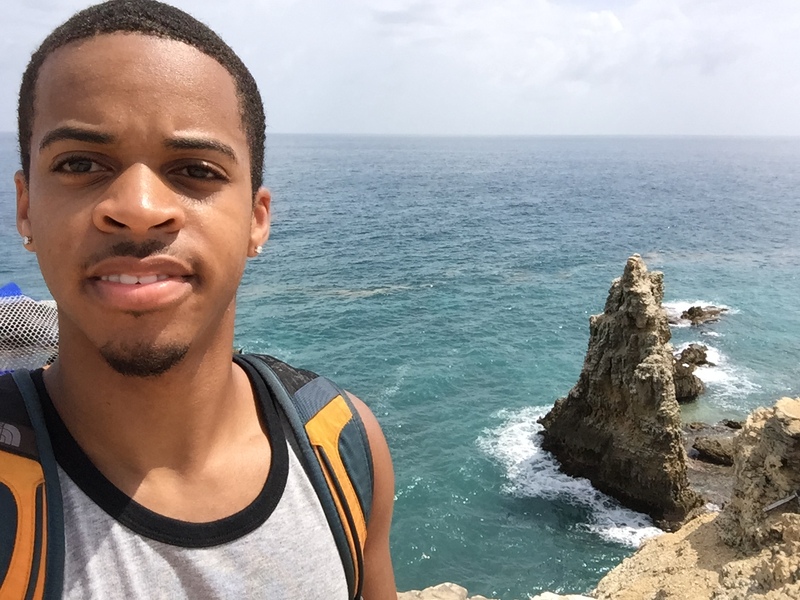 The experience of living for 10 weeks in a different culture with a different language than English, getting to visit the beautiful attractions the island of Puerto Rico has to offer, getting to be a part of an amazing group of colleagues, and working on interesting scientific research has shaped me. Now that the REU is coming to its end, I can say that I feel as if I have gained both technical knowledge, working with my research topic electrospinning of collage nanofibers, and life applicable lessons such as to work hard towards your goals but to enjoy the process also. Though the program is coming to its end I will reminisce about the experiences I had for the rest of my life. Experiences such as jumping off of cliffs at the Tanama River and being completely breathless from looking at the beauty of the scenery at Playa Sucia will cause flashbacks and smiles for the rest of my life. Also I will always remember the experience of the excitement of my research mentor when we discovered or achieved something in the lab. I hope that as I continue to do research, that I can always bring the same passion into my work. This passion, to me, is what drives science and its progress. For my research project this summer I fabricated a lot of B.S. (Bioactive Scaffolds). I had the opportunity to work with the fabrication of electrospun collagen nanofibrous scaffolds for tissue regeneration. I worked with the process of electrospinning by varying voltage and flow rate to produce scaffolds with varying structural properties such as fiber diameter and alignment. This is important because depending on these properties the scaffold could seed different cell types. Hopefully my research will lead to progress in the tissue engineering field and lead to a better wound healing process in the future. All in all I have grown in ways that I did not think possible from this experience. I would recommend it to anyone that they go through with it if they had the chance. This whole experience started with me taking a leap of faith in applying for a highly prestigious REU but I guess what they say is right, the unexpected things are what turn out to be the most life changing. I would like to thank everyone who worked together in putting together this program together and I hope I have the opportunity to visit again after this summer in the near future.